PA government in Ramallah says "no force in the world" can make it stop paying terrorists. 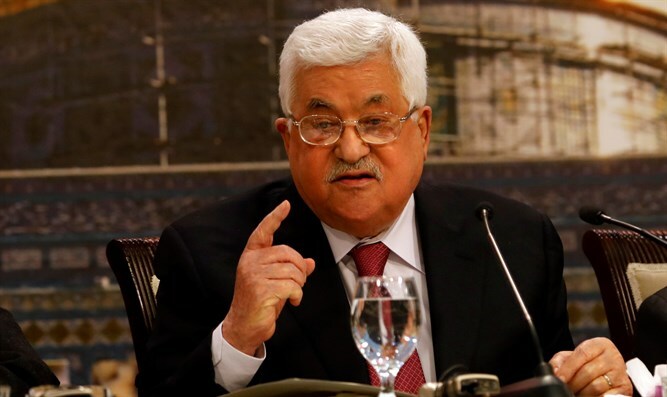 The Palestinian Authority (PA) government in Ramallah sent a defiant message to the United States and Israel on Monday regarding its support for terrorists and their families. Yusuf al-Mahmoud, spokesman for the PA government, said in this context that "there is no force in the world that can cause us to renounce our prisoners and the martyrs." He said Israel bore full responsibility for the situation of the Palestinian Arabs and claimed that it was "stealing their money on the pretext of offsetting tax revenues." Last week, Prime Minister Binyamin Netanyahu instructed Meir Shabbat, chief of Israel’s National Security Council, to deduct money from the taxes collected by Israel on behalf of the Palestinian Authority in order to pay for the damage from fires caused by Gazan rioter-terrorists sending kites attached to firebombs into Israeli territory. Last week, Gazan terrorists burned 75 acres in a single day. On Saturday alone, the terror kites sparked 17 fires.